[et_pb_section][et_pb_row][et_pb_column type=”4_4″][et_pb_text admin_label=”Text” background_layout=”light” text_orientation=”left” use_border_color=”off” border_color=”#ffffff” border_style=”solid”] Next week an incredible natural phenomenon will captivate people across the nation. A total solar eclipse. Dubbed as the Great American Total Solar Eclipse, on August 21, 2017, the skies will darken, and most intensely along the ‘path of totality’ – a 70 mile (113 kilometers) wide stretch of land – all the way from Oregon (beginning at 9:04 a.m. PDT) crossing the country to South Carolina before moving out into the Atlantic Ocean (4:06 p.m. EDT). The eclipse will end off the coast of Africa. During a total solar eclipse, the sun’s outer atmosphere known as the corona, becomes visible to the naked eye. Skywatchers can expect to see jets and ribbons of light, twisting and curling out into the sky. So why not witness this most awe-inspiring sight for yourself by taking to the skies for unequaled views from 45,000ft. Nowhere on earth will the view be as perfect as onboard a jet charter soaring above any viewing-restricting cloud cover, with front row seats for this magnificent sight. A private jet flight along this 70-mile strip also extends the duration of totality. By flying one of Reynolds Jet’s luxurious private jets in parallel to this once in a lifetime coast-to-coast celestial marvel, our aircraft offer up close and personal opportunities with an out-of-this-world-viewing experience. Observe first hand, what happens in the Earth’s upper atmosphere when the light of the sun dramatically fades away, as the last rays disappear behind the dark lunar shadow. 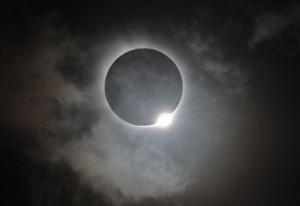 Alternatively, why not hire a plane to descend on one of the best destinations to view the eagerly anticipated long-lasting “diamond ring” effect from the ground, before that gives way to the sun’s mesmerizing corona, marking the beginning of the total phase. The longest duration of totality takes place near Carbondale, IL for a total of 2 minutes 41.6 seconds. The best place is at the geographic location 37° 34’ 4.3” North latitude, 89° 06’ 10.0” West longitude – just don’t forget to drive east or west if clouds threaten observation! Courtesy of data from NASA, the chart below lists the moment of mid-totality and the duration of totality for a handful of cities that lie close to the center of the path. Chartering a private plane from Cincinnati-based Reynolds Jet to experience this dramatic natural phenomenon is simple and unforgettable. Such a private eclipse flight can be undertaken onboard one of our Challenger 604s, or G200, Learjet 40XR, CJ3 or the Hawker 400XP. Operated to the highest safety standards – Reynolds Jet is ARGUS Platinum and IB-SBO Stage II – Reynolds Jet can fly you in to any of the destinations within the 70-mile centerline strip, within which eclipse totality can only be seen. All reachable by Reynolds Jet’s charter planes, the eclipse starts at Lincoln Beach Oregon, and passes through Madras OR, Snake River Valley/Idaho Falls ID, Jackson WY, Casper WY, Alliance NE, Lincoln NE, Jefferson City MO, Carbondale IL, Paducah KY, Hopkinsville KY, Madisonville TN, Nashville TN, Clayton GA, Columbia SC and ending at Charleston SC. The last time the contiguous U.S. saw a coast-to-coast total eclipse was in 1918. And the last total eclipse occurred in 1979. For eclipse chasers that will miss out on combining the total solar eclipse with a private flight experience this time round, don’t think you will have to wait another 37 years. The next total solar eclipse visible from the U.S will be in 2024, where the skies will darken above Mexico and Texas, and up through the Midwest and northeastern U.S. Regardless of the number of people in your getaway trip, Reynolds Jet has a diverse range of private jets for rent that can accommodate parties of all sizes. And our jet prices are the most competitive out of Cincinnati. 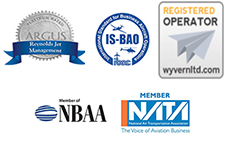 Let Reynolds Jet handle all your private jet charter travel needs. Help Us Design a Marketing Brochure.